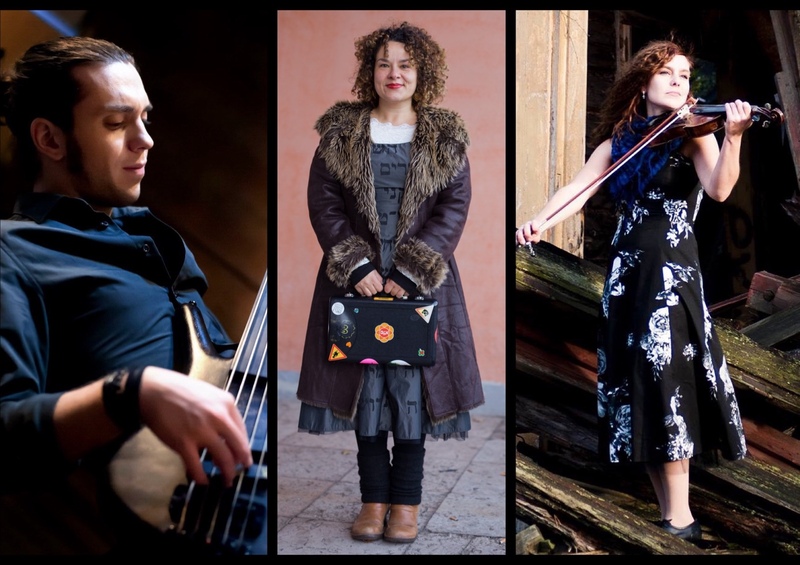 In this occasion, Ishtar will perform as a trio with Lotta-Maria Pitkänen (FIN) at the violin, Valeria Conte (ITA) at the clarinet and voice, and Javier Sánchez Pérez (ESP) at the bass. The three musicians are all GLOMAS master’s graduated (www.glomas.net) and have met during the studies, bounding to a meaningful friendship and professional collaboration expanding to other various musical projects. Their repertoire is made up by instrumental tunes and folk songs, tapping into Flamenco, Arabic, and Yiddish musical cultures. Their performance is a fresh, lively and rich journey through the warm sonorities of Middle-East, Eastern-Europe, and the Iberian Peninsula. Ishtar has recently collaborated to the theatre production “Kaikki Perheemme Päivälliset – avauksia empatiasta” at Helsinki Theatre Academy.